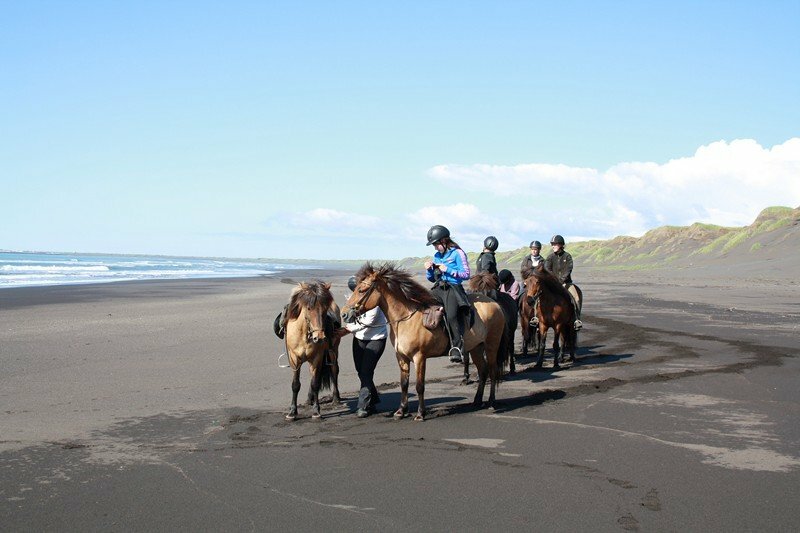 I enjoyed so much the riding tours (Beach riding and Ölfus special) with Solhestar’s wonderful icelandic horses. The service of my riding guides Linnea, Freddie and Alexandra and the whole Solhestar team was excellent. You get individual service and don’t need to suffer big masses as the groups are always small. I was in fact lucky to have individual tours. Very relaxing days, some of my best riding experiences. 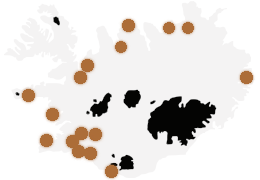 I booked this tour on a whim when I got to Reykjavik and I’m so glad that I did! 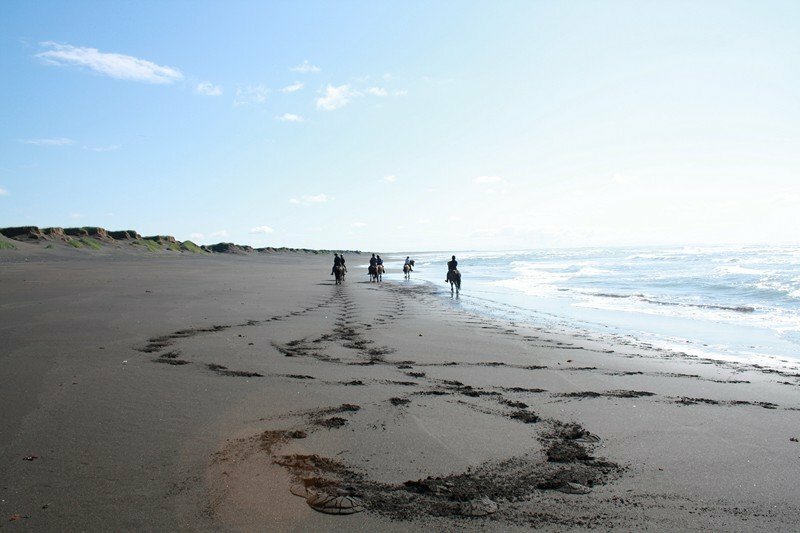 I did the Beach Riding tour, and it was a great experience. It was a small group of 4 people, and our guide Alexandra was awesome! She gave pointers throughout, and told us all about Icelandic horses. The owners picked me up at my hotel, fed the group soup after our ride, and dropped me off afterward. Lovely! It says it on the website but not on the brochure that I found in the tourist info Centre – I would say the beach ride is definitely not for beginners. I have mixed emotions about this company. I am thirteen, an intermediate rider in the US, and I went on one tour with my mom and one with my mom and dad. 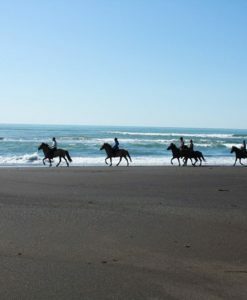 The first day, my mom and I did the beach ride, and it was absolutely amazing and perfect. Our tour guide was named Linnea, and she was really great and nice. 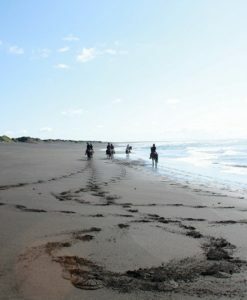 The scenery was gorgeous, it was even nicer than the photos on the website, and I adored the horse I rode, named Alsaela. This tour was the highlight of my trip to Iceland, better than I ever could have imagined. The next day, my parents and I went on the three hour tour (which is actually about one hour long). Although the website specifically says under the tour description, “We ride in small groups and offer personal and friendly service” there were seventeen people in our group and pretty much all that the tour guide said was stuff like, “we’re going to faster now!”. The group was so large, most of us couldn’t even hear what she was saying. The group broke into two parts when another tour guide joined us, fast and slow. The fast group went on a loop through the fields behind the stables and it was shaky and very, very fast. The slow group walked a bit in the back fields, then turned around and walked back the same way. So the tour was either a boring tour, or a hold-on-for-you-life tour. If I had not gone on the beach ride tour the previous day with a tour guide who actually assisted us, I would have had no idea how to tölt since the tour guides for this tour offered absolutely no help. On a side note, a little girl in another group fell off of her horse twice in a few minutes because her saddle simply slipped right off while she was going down a hill, which really scared me. 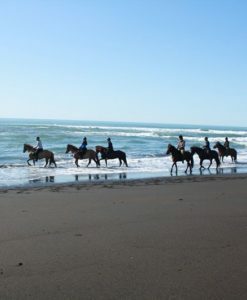 I do recommend the beach ride, if you are lucky enough to end up with a combination of great weather, a great horse, and a great guide like we did, it will amazing. Overall though, this company did not exactly live up to our expectations. It was very nice to eat soup together after the tour! We enjoyed it so much!!! 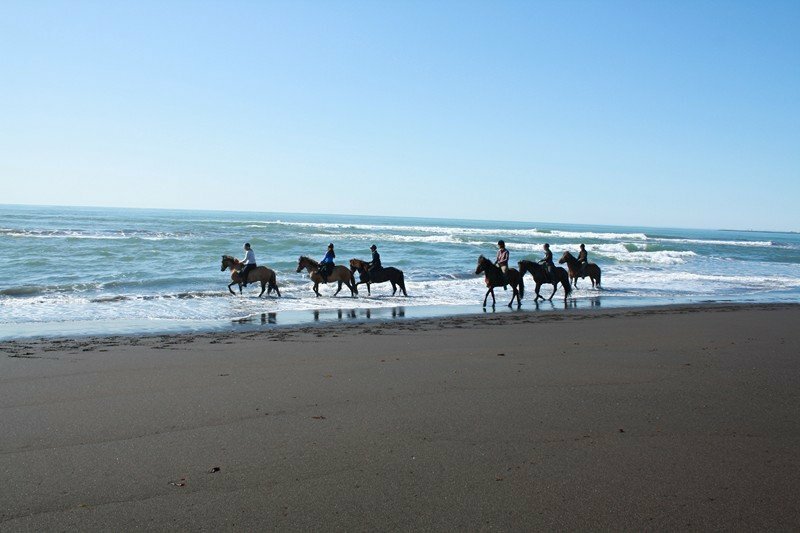 The horses, the People, ….. 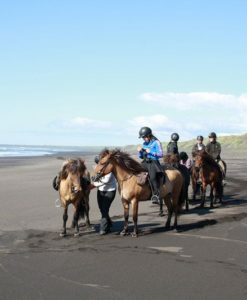 It has been a dream of mine to ride an icelandic horse! They are the most beautiful creatures, with such tame personalities. 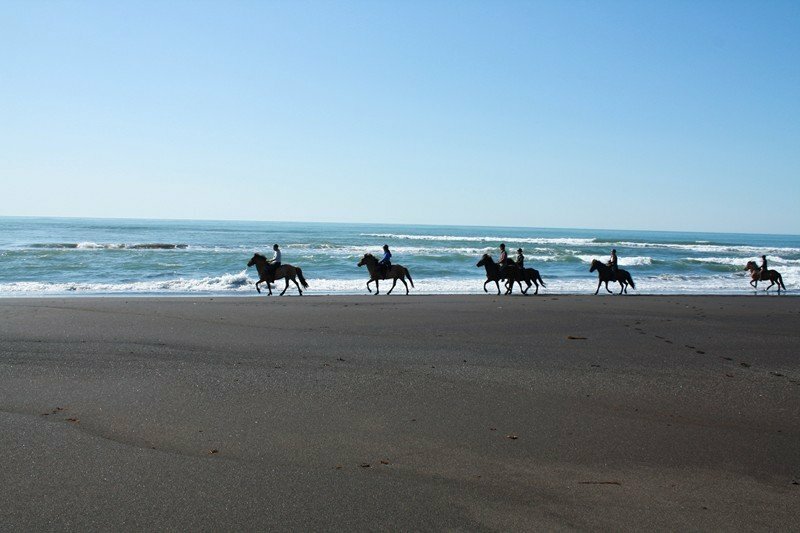 My husband and I originally booked the beach riding tour. However, the weather was terrible the week we came and we were informed the tide was too high and it was too risky. 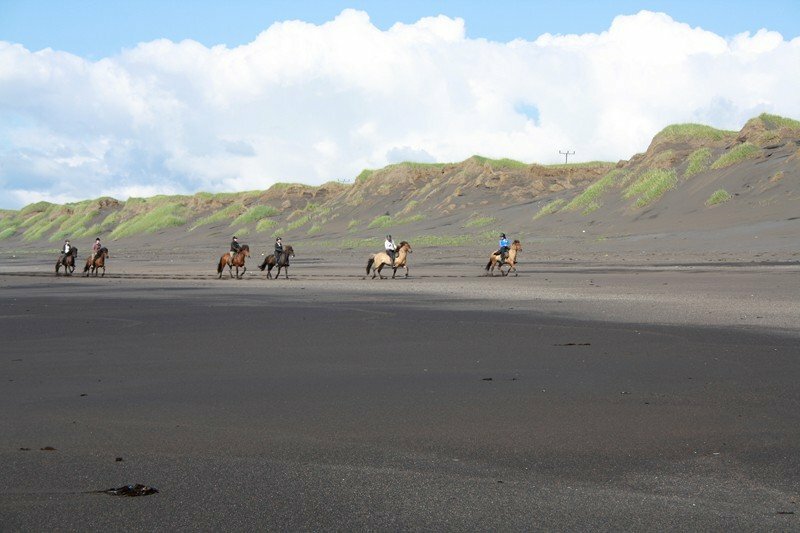 They didn’t have to, but they upgraded us to another package, which was a 6 hour tour, lunch with some lamb soup and a history lesson on the icelandic horses. My horse was named Diana Ross, it was her first tour (if you could believe that). I was a bit nervous because she didn’t know the tour and I don’t have a lot of experience with horses, but after some bonding time we understood each other. Our tour guide was a lovely girl who actually went back to Denmark the following day, she let us trout and run from time to time. 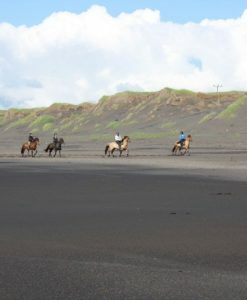 I think my favorite moment was when we were riding through the farmlands and some horses were being herded back to the farm there were at least a dozen of them that came running right past us on the path, it was an unbelievable experience. we will definitely recommend everyone and will be back ourselves!